Theodore Roosevelt traveled the world and had daring adventures in an age before jet travel made it easy to hop continents and visit the most remote and exotic locales. Roosevelt also extolled the strenuous life, a philosophy about hard work and strife as a means for individuals to succeed and for America at the turn of the last century to become a great nation. 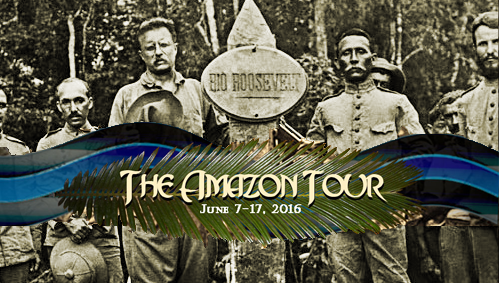 In the spirit of Roosevelt’s wanderlust and call-to-action, the Theodore Roosevelt Association sponsors Strenuous Life Adventures, in which we follow in TR’s footsteps, touring and revisiting the history of places of importance in TR’s life and legacy. taking a US government-licensed educational trip to Cuba to walk in TR’s footsteps up Kettle and San Juan Hills, where he had his self-described Crowded Hour in the Spanish-American War. In 2014, TRA Members traveled to Panama to commemorate the centennial of the opening of the canal and retrace Theodore Roosevelt's steps from his visit in 1906 to check on the progress of the Panama Canal.